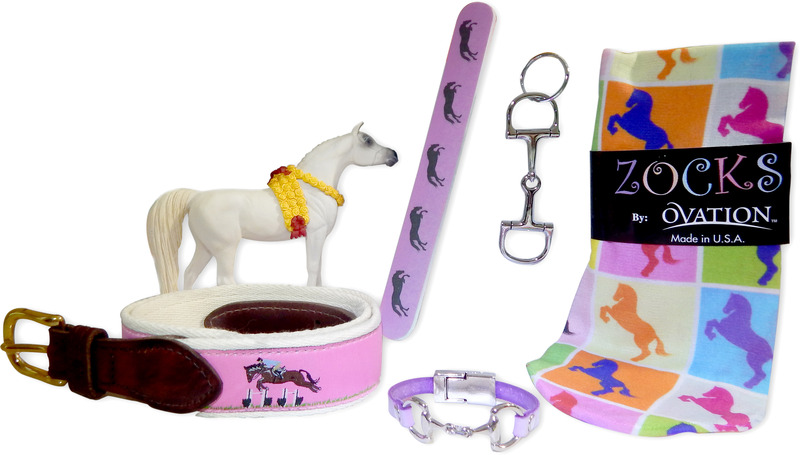 A delightful bi-monthly box for the young horse lover, with every-other month deliveries of several horse-themed items such as socks, bracelets, belts, keychains, toys, and more! Boxes sent out every 60 days. A delightful monthly box for the young girl who loves horses. Each month she will enjoy a delivery of several horse-themed items such as necklaces, socks, bracelets, belts, books, keychains, toys, and more! Horse Lover's Box - Six Month Subscription, includes a 10% discount for paying up-front. Boxes typically contain between 3 and 6 great "horsey" items.